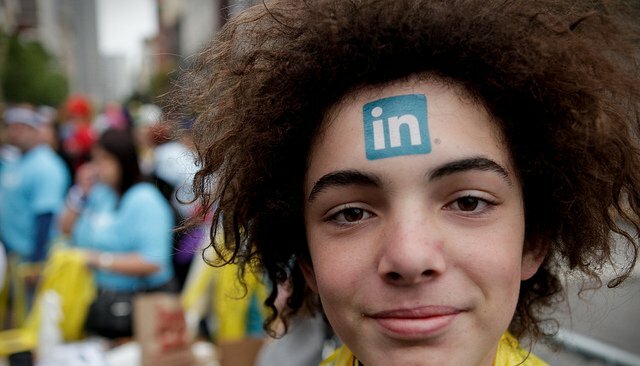 Are You Making These Obvious Profile Faux Pas On LinkedIn? I’m just gonna say it: My LinkedIn profile is sensational. Some days I log on just to admire it. Then I go visit my clients’ profiles, and I give myself a little fist bump. The thing is, it’s remarkably easy to stand out on LinkedIn. Most profiles fall into one of two categories: the lazy, sparse profile, or the mile-long, text-heavy profile. Fear not. You can be lazy, longwinded and have a great profile. After writing 100+ bios and profiles over the years, I’ve concluded it doesn’t take a rocket scientist to stand out. A few simple tweaks and you too can achieve rock star status. One caveat: Before you attempt a single one of these edits, please turn off activity broadcasting in your profile. It’s in the right sidebar. This will avoid a lot of messy, annoying updates in your connections’ news feeds. Now that you’ve turned off activity broadcasting, you can get started with a few easy tweaks. Write your summary in the first person. Few people can pull off writing about themselves in the third person. Your summary is a personal message to new connections and prospective clients or employers. Writing in the third person often comes off as cold and self-seeking. You want to be approachable, yet professional. Be honest and write in the first person. For the love of all things holy, please use a professional headshot. Frankly, you can’t afford not to have a great photo. People absolutely judge books by their covers. If you can’t afford it, barter. Also, your face should be looking toward the text, not away from it. Draw attention where you want your readers’ eyes to go. Arrange sections in order of impressiveness. If your summary isn’t the most interesting and attractive item in your profile, it shouldn’t be at the top. Because I’m a writer, I put publications at the top of my profile. I keep skills and endorsements at the bottom, because I’ve always found that section kind of hokey. Demonstrate your achievements in numbers. All the traditional resume writing wisdom applies here. No one cares that you’re “highly experienced” or “professional.” Make it believable by adding the facts to back it up. For example, if you’re a writer and your average open-rates and click-through-ratios are 45% higher than the industry average, that better be written on your profile somewhere. Add a bit of formatting. Make past experiences a nice, uniform length. Nothing is worse than a profile full of past experiences, some with eight paragraphs of text and others with none at all. It’s chaotic to look at and confuses your readers, making reading your profile that much more of a chore to read. Get recommendations by writing them for others. It only takes a few minutes to write a thoughtful recommendation for a connection, and LinkedIn will do all the rest of the work for you by messaging that connection and asking them if they want to write a recommendation for you. The more thoughtful your recommendation, the more thoughtful a recommendation you’ll get in return. Add projects, especially if you’re self-employed, a freelancer or a business owner. Any can claim to be CEO of their own company, but if I’ve never heard of your company, I’m going to assume you gave yourself that title. Projects allow you to go into much more detail than a job description, and they help potential clients understand how you can help them. Provide social proof by adding team members to projects, publications and experiences. Their images provide social proof without requiring anyone to actually read your profile. If you published an article, add that to publications and include the editor. If you built a website, add that to projects and include the copywriter. Lastly, you should know when to bring in a pinch hitter. Most people aren’t able to talk themselves up the way they deserve to be talked up. The executives I’ve worked with just don’t have the time to give their profiles the attention they deserve. Again, if you can’t afford to hire someone, barter. If you have skills, and I think you do, then you have something to barter with.